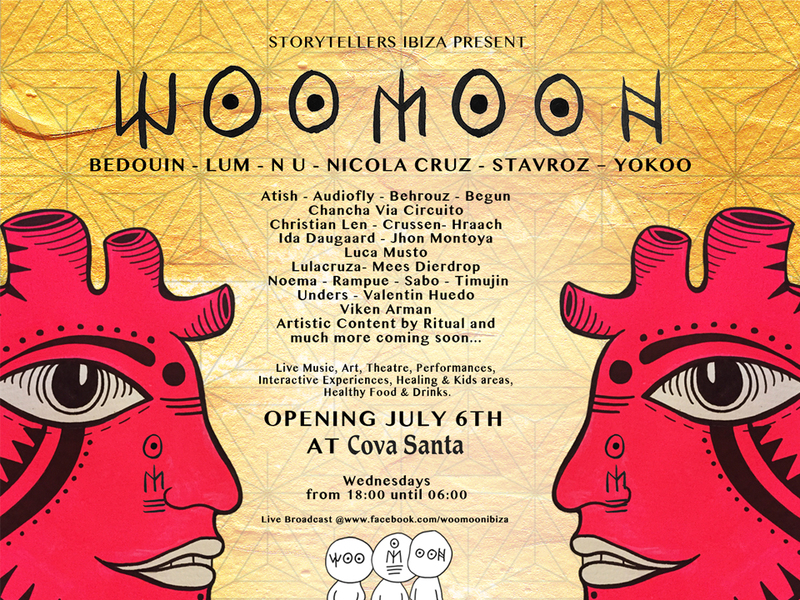 WooMoon is an Ibiza-born concept party held deep in the mountains of San Jose at Cova Santa. Every Wednesday night during the Summer Season, Storytellers presents WooMoon brings together a tribe of artists from underground scenes in some of the world’s most iconic clubbing destinations, creating a programme of live art, theatre, live performances and interactive experiences. Residents Bedouin, LUM, NU, Nicola Cruz, Stavroz, Valentin Huedo and YokoO are joined by guest artists such as Ida Daugaard, Meed Dierdorp. Audiofly and Atish.